Cloud Media is mostly known for their Linux based Pop Corn Hour media players. but recently they started offered a free media player called FreeOTT via ISPs or Facebook giveaways. This little box gives direct access to online video channels. I reviewed FreeOTT a few months ago, and found the interface to be sluggish (possibly because of my Internet connection), audio was not working on my TV. So overall not a very good experience from my side, but they’ve upgraded the firmware with features like Miracast, DLNA, and “iOSCast” (Airplay? ), possible improving performance, and recently added CCTV 1 to 15, except CCTV 4, to the list of channels. FreeOTT was difficult to source since you can only get it for free, so the company has just launched 1OTT player based on what appears to be the same hardware platform, but with a larger enclosure. 1OTT Player comes with a micro USB cable, a USB to Power adapter, a remote control, 2x AAA batteries, and a Quick Start Guide. The device runs Linux, and the user interface is built on top of Adobe Flash Lite (Stagecraft 1.2) which may explain the sluggishness I experienced with the free version of the player. 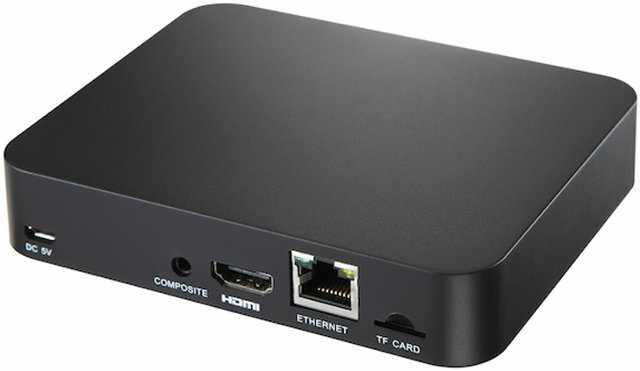 This device is quite different from XBMC and/or Android set-top boxes I usually feature in this blog, as it’s mainly an Internet video player, getting channels from known online sources, and I understand the only way to play local videos is to connect it to a Plex Media Server. Education TV channels – Over 10,000 free videos from sources like TED, Khan Academy, and universities such as Tsinghua, Peking, Harvard, and Yale. 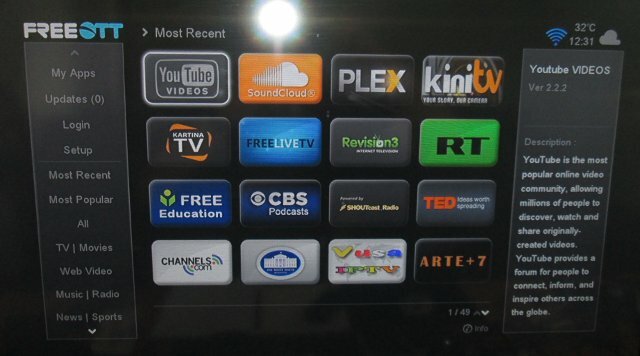 Premium Content Apps – Kartina TV for Russian Expat, Polsky TV for Polish Expat, Umedia for Chinese Expat, HDZone for Vietnamese Expat, Online TVRecorder for German Expat, etc.. There’s also some premium adult content that needs to be managed via parental controls. Last time I tried in FreeOTT I could also access YouTube, Russia Today, Revision3, SoundCloud, CBS and more as shown in the picture below. 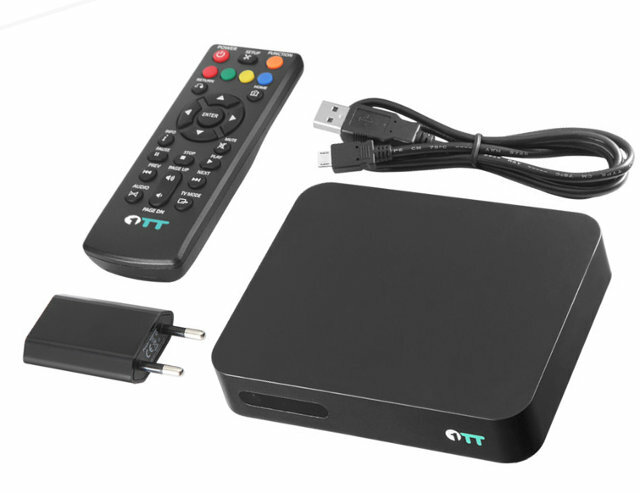 1OTT media player is available for pre-order now, with shipping scheduled for the 20th of December 2013. You can purchase the device for $69 with FFhmGkkuKr coupon until the 14th of December, and $99 afterwards. There’s also $25 international express shipping fee, for a total discounted price of $94, which seems pretty expensive for this type of hardware. [Update: the company has now added free international shipping option with Hong Kong Post registered mail, and reduced expedited shipping to $15]. There’s also no subscription to watch most TV channels. Visit Cloud Media’s 1OTT page for details.